Lovely place. We had a double room with a private bathroom and a balcony for a very good price. The host was lovely and extremely helpful. There is a communal kitchen downstairs which had everything you need with a terrace area outside to eat. Felt more like a home than a hostel which is excellent. Would definitely recommend. Exelente atención de parte de sus dueños, todo muy lindo y son muy amables, indican y ayudan con todo ademas de que siempre quieren saber de uno... volvería mil veces mas me sentía como en mi casa! What a lovely hostel in Bol. The nicest place we stayed on our trip around Croatia. We booked a private room which had a lovely balcony with a gorgeous sea view. 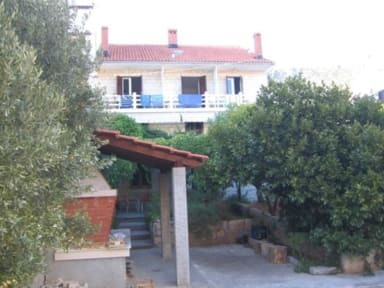 The shared kitchen and garden were great for our needs and we also thought the property was really well located, close to town and the beach. The staff couldn’t have been more helpful. Delightful stay. The hostel is 5 minutes walk from the center and the atmosphere was great. Maria, the owner and the grandma were really nice people! It was really nice hostel. We got better room and with a teracce with a view on the sea without paying extra money. The personal were really friendly. I recomend this hostel for short stays. Only thing that was a little bit annoying was that it was not all the time warm water in the shower. Lovely garden with bbq and figs. Really good beds and lockers. Only one toilet but personally had no problems. Staff was helpful and family-type vibes. Good location, Bol is really small village. 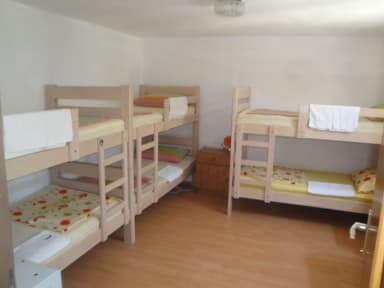 Very nice, clean and quiet hostel. Air conditioning is definitely appreciated, nice kitchen set up, clean bathroom. It’s in the owners home- so they’re always available if you need something. Easy walking distance to the harbor and best beaches. As it’s in a residential area it is VERY quiet after dark- do NOT come here expecting to party with your hostel mates... very chill and just what I needed!!! Thank you for a wonderful stay, White House Bol! Maria did a good job of welcoming me, even though I arrived late in the evening. She patiently gave me lots of information about Bol and had good recommendations on things to do and see. Great price for decent sized room. Staff were friendly and helpful. Bathroom wasn't very clean. Room was hot as it was mid August and no air-con or fan.